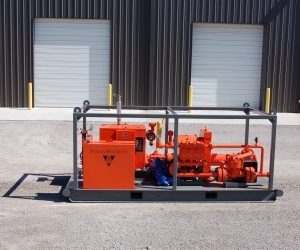 Our newest offering is the HPP-150, hydrostatic test pump package. This lightweight skidded combo package boasts a high head fill pump and our industry leading triplex pressure pump. This user friendly package is perfect for multi mile diameters up to 16" and shorter run larger diameter pipe.